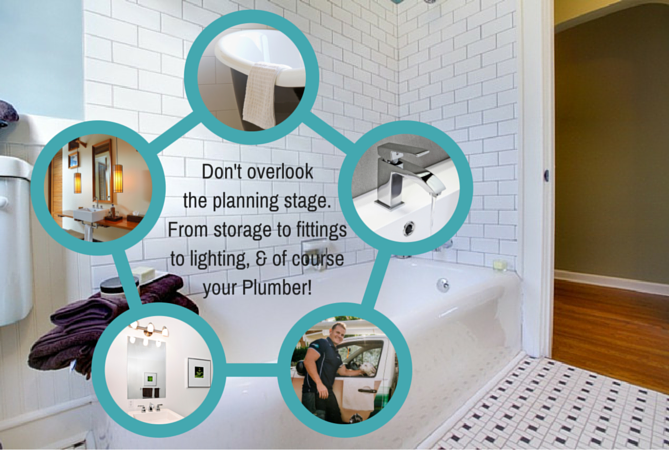 Renovating a bathroom is more than just pretty pictures! Are you in the process of overhauling your house? Tired of the original fittings from a million years ago? Do you really want a bathroom renovation that suits your growing family? Wild Water Plumbing are your experienced bathroom upgrade go-to Plumbers! We’d love to get you settled into your newly renovated bathroom ASAP! Whether it’s a bathroom renovation for an investment property, or for yourself to use, there are 7 key things that people overlook. So what are the biggest things we see in bathroom renovations that aren’t always thought through? Time and time again, people underestimate what it takes to keep us clean and looking fresh. If you have limited space, the storage solution can become even trickier. Measure, measure and then measure the room again. Considering this obstacle while selecting your layout means you still have options. Slim line nib walls with niches built in, or wall cabinets built into the recess can require less space that you think. Vertical storage has evolved and is no longer focused on cabinetry solutions. Awesome tips and pointers for your small bathroom renovation can be found online via Wild Water Plumbing’s Pinterest boards and property and design blogs. It seems a bit early in the piece – you haven’t even chosen your plumbing, accessories or finishes! The smartest bathroom renovators get a plumber they can trust involved early to check the plan is sound and the cost of installing the proposed fixtures and fittings. Some early advice from a hands on bathroom upgrader can be the difference between the budget blowing out, moving a pipe later, over purchasing on your floor and wall coverings and labour costs. So you have mapped your bathroom, measured the space, designed your storage, hired your plumber and now you’re off to select your fixtures! The bathroom upgrade is underway! This part can become overwhelming fast, with a wealth of options on the market and a range of sizes and price points. How do you know which way to go? The best advice is to sit in your selected bath and stand in your suggested shower base (if you have one). Check your measurements suit your needs and you aren’t stretching yourself by putting in a bath AND a shower, where a dual bath/shower would give you more space to work with or a pedestal basin, while appearing more spacious is limiting your storage too heavily. 4. Fittings – what to choose? There are so many options on the market place at the moment! Matt black tap fittings, vintage themed brass and ceramic pieces, chrome plated mixers in sleek shapes – if you can think it up, it probably exists. So consider your fixtures and what limitations they have. Does your vanity have wall or bench mounted tapware? Will it be a mixer or tap set? Will your shower be on a rail or wall or even ceiling mounted? It’s a good time to consider resale or the rental market when choosing fittings. Shopping around on these can save your pennies. 5. Finishes – what to choose? Tiles? Laminate? Polished Concrete? Stone or ceramic? Wet board? How high to tile up the walls? Fully tiled walls? Now is a great time to get creative if the bathroom is for your personal use, but if there is a future for the property to be rented or sold, it’s worth considering more universal styles to suit the next resident. Durable surfaces are available across all budgets, though its important when choosing flooring to think about things like underfloor heating as not all floors will accept the heat. Tiles are generally the most cost effective option and you can find an excellent range to suit any styling choices. Too frequently in Sydney’s densely populated North Shore apartments, the bathroom is left poorly ventilated. While you are renovating the bathroom, when choosing your fittings, you’ll want to consider your ventilation. There is no point putting in excellent underfloor heating and an exhaust fan that feels like a breeze is coming out of it. A great exhaust fan (in lieu of an open window) will save you big bucks on repainting, time on maintaining the mould that builds up quickly in the mist and often serves a dual purpose – sometimes offering heating or lighting as well. Positioning the exhaust fan somewhere logical is also important. Mould is a serious health issue that needs proper ventilation for your families respiratory health. Don’t rely on your exhaust fan light to do your makeup or have your morning shave. People rely heavily on the quality of the lighting in their bathroom for medical reasons (think tweezing splinters out of little feet, cleaning scraped knees, post shower dressing sore bits) as well as cosmetic purposes due to the bathrooms wipeable surfaces and general hygiene level. Quality lighting isn’t something worth skimping on – especially if the property is for your own occupancy. Consider your bathroom’s lighting plan if wanting to increase your properties value. At Wild Water Plumbing, we are experienced bathroom renovators and are here to help you through a potentially stressful time. We take the risk out of upgrading your bathroom by providing licensed and qualified services and specialise in Gas fittings, so can handle your hot water connections as well. Call us on 0405 692 151 to get your bathroom renovation started! Why wait any longer! Hello, I’m Lucas and I’m the proud owner operator at Wild Water Plumbing. I’ve been a licensed plumber now for over 11 years. 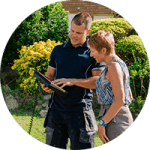 I started this business to offer an excellent quality of service at an affordable upfront price to the local North Shore and Northern Beaches residents – my neighbours. Great info & advice for bathroom renovations, it’s awesome and very useful step by step idea for me. Thanks!